Melissa’s Note~ It is my pleasure to give you my guest blogger, intuitive psychic, and author, Shaheen Miro. Together we are presenting a series called Kids Growing Up Psychic. And we want to share all we know about this subject in a fun, exciting, and informative way. As a newly developing psychic, in the real world… the most important tool is psychic protection! Psychic protection is the foundation for a healthy and balanced life, especially if you are working with your spiritual gifts. Everything is energy, and when you are receptive, like your psychic child, you are filtering, processing, and interacting with many frequencies of energy. This can be exhausting, freighting, and at times debilitating. Psychic children are open channels to the unseen world, which allows them to attract, and interact with different forces. This receptive nature can leave them vulnerable to certain types of experiences. Some experiences are beautiful and healing, and others are very jarring. 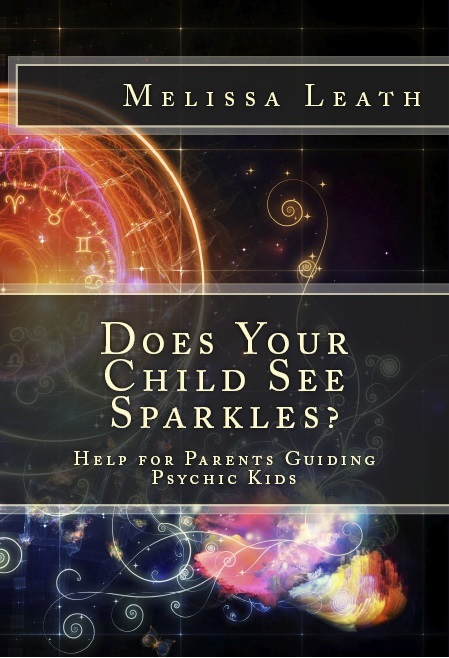 Imagine your psychic child like a beautiful beam of light radiating out into the darkness. There is so much untapped potential and limitless power at their fingertips, they have not learned to turn it off, to shy away, or shut out their psychic nature. They appear like a beacon, and stirring and awakening things around them. Your psychic child is always radiating their beam of light; this is the light of their soul. This is the sacred part of them that has not yet been clouded by their time in the real world. Most people have learned, either by choice, or circumstance to protect… and even hide this light. This is the halo you see in art. The aura, which is our energetic self. Everything that you are made up of lives in the many layers of the aura, and can be tapped into for information, and manipulated for your benefit. The aura is composed of many layers, and the deeper layers link into the soul. When you talk about someone being in your “bubble”, you are speaking of your aura. Now imagine your psychic child, beautiful and radiant… things are flocking to their “bubble” because in a world where most adults have dimmed their light… your child hasn’t. Your child’s aura is in full bloom, radiating colors and light. It’s their truest nature. And some forces wish to acknowledge this presence, even feed off of it. You never want to leave yourself vulnerable. You want to be in full control of your aura. Using different techniques for spiritual protection will allow your child to stay safe and secure. When a child feels invaded by foreign energies it can frighten, and even isolate them. This is the beginning of the great forgetting. When they are having nightmares, or unable to sleep. If they are feeling vulnerable in public places. Around strangers. Or with certain friends or relatives. Before entering in a crowded places, especially a mall, school, hospital or park. If they seem to get sick in a certain place or setting. When they have extreme changes in mood, or behavior. If they are frightened by something that you cannot see, or that cannot be explained or articulated. Remember, psychic protection doesn’t just protect your child from unseen forces, or entities. It also protects them from the different thought frequencies and intentions that are floating through the atmosphere, created and directed by very real, living people. This is why children are very vulnerable in negative environments. They mentally and emotionally impressionable. Their empathic nature causes them to completely take on and internalize strong energies being sent around them. A very simple way for your child to remain psychically protected is through a white light exercise. Many psychics will refer to the “white light”. This is the light of the Divine, source energy… however you see and experiences the source. This is pure, high-vibration energy. When working with the white light you are accessing the Universe, and asking that all of its goodness surround you. Because source energy vibrates at a high frequency, it eradicates other lower energies that may interact with it. When your child is surrounded with the white light, it becomes a fortified bubble, a shield! Try this White Light Meditation with your child! Begin by standing loosely. With your arms and legs relaxed start to swing them around. Jump around, jiggle, and sway. Move as if you are the wind. Feel a shiver. A jolt of energy run from the tip of your toes, all the way through your legs, your hips, your belling, your arms, up through you neck and out the top of your head. Shake it off. Shake your head, yes and then no. Shake your arms. Shake your legs. Shake like you are just getting out of the shower and trying to get all the water off. Now make your way to the floor. Sit with your legs crossed. Let your arms fall gently by your sides, or into your lap. Close your eyes. And begin listening to your breath. Feel your belly expand really big like a mountain, and then let out all the air in your belly with a big, “puff”. Now pull more air into your belly, through your nose, and deep down into the bottom of your belly. Let your belly rise, and fall. It will start to feel like it is dancing, moving gently. You may hear a little whistle from your breath as it moves in and out. Begin to build a rhythm as the air comes in your nose, and down into your belly, and back out. Like when the tides crash into the ocean, and then fade back again. You may tingle all over. You may feel yourself want to rock a little from side to side. Or gently move your arms. Have fun, and do whatever feels good. Smile. Let the biggest smile come across your face. Now, imagine yourself glowing bright. Imagine you are surrounded with the most beautiful light. You are glowing like a lightening bug. You are glowing on all sides. From your head to your toes. Every part of your body is surrounded by a white light. Now, think of your favorite color. Whatever color you love… let it fill your mind. Repeat the name of your favorite color to yourself. Any color… just repeat the name of your favorite color to yourself out loud. The white light around you begins to glow, and turn your favorite color. Did you know you can glow any color you want? Change colors anytime you like. This light will keep you protected. Breathe again. Feeling your belly rise, and fall. Practice this protection meditation with your child as often as possible. If your child is too young to do this meditation, then visualize the light of protection around them. You can use them same visualization, just see them rather than yourself. Ideally you would want to do this with your psychic child in the morning, and in the evening before bed. After awhile it will become second nature. They can summon the white light whenever they feel vulnerable. Have fun with it! Create your own variation. Another way to help your child summon the white light is to draw a picture of the above visualization. Have him, or her draw a self-portrait, with the light all around their body. This is a great way to keep the visualization alive. Whenever your child feels unsafe, they can look at the picture and remember the white light is there when needed.